Redigit posted a picture earlier that’s yet another teaser for some of the large content additions to Terraria coming (hopefully) soon. Armour made of the same material as the spear, drill and chainsaw. Which means a new red ore. This brings our total new armors up to three… Mithril Armor, Cobalt Armor, and this new red armor. Hermes-boots-type shoes. Possibly even faster boost, or a jumping boost. Click the image above to enlarge it. From his post about the “Evil Desert” we know that Hallowed Seeds will be introduced as a way to create sort of an anti-corruption area to stop the spread of corruption. Holy Water will be introduced as well as an item that can be thrown at Ebonstone to create Hallowed Stone. I’ll be replacing the spotlight for Minecraft 1.8 changes under the header image on the site with a running list of changes and theories about the big Terraria 1.1 patch content. Until then, the wiki has a fairly concise list of assumptions and confirmations. Also, for words straight from the horses mouth so to speak, follow Redigit on the forums! 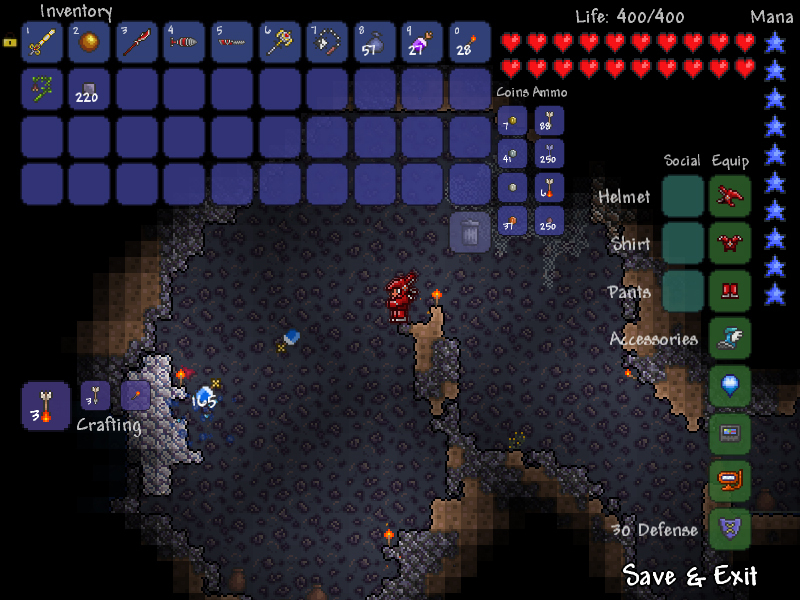 Terraria user Surfpup has created a mod for the game called tConfig. 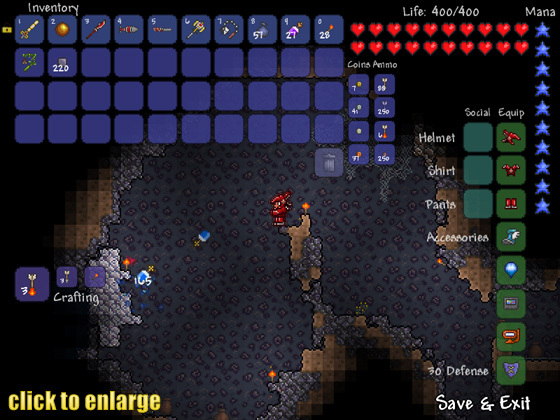 Terraria has more variables than a calculus course that dictate things like a magic spell’s power, the length of Potion Sickness, values of items, recipes, projectiles, and NPCs…literally any variable in the game. You can also add new items and projectiles with new sprite images as well. The first time you run it, it will generate all the config files in the same location as the Terraria save files. This mod will take slightly longer to load the game since it loads a lot of data from files. The only attribute of items that is saved on your character and worlds is the name, so as soon as you change a config file, it will change once the game is reloaded. Keep in mind that items can disappear from your inventory, or turn into a copper shortsword with no description, if the config file for the item is deleted, can’t be loaded, or is renamed. In order to add images, drop a .png file into the Item folder with the same name as the item, and set the item’s “type” value to -1. You can add armor – see the Red Hero’s Outfit example, now included in the “Simple Example” mod pack folder in the download. Custom items will only be loaded from Mod Packs. So this happened a little while ago and I’m just now getting around to posting it on the site. I get in Terraria moods from time to time and then get burned out and start playing something else. Hopefully some of these changes will keep me a little more interested. Combine that with me having issues keeping a server running on my machine (keeps freezing the whole system after about 5 minutes).